Where are the rails in Whitby WV? There is good news to be heard about seeing any rails going into Whitby: Alot of them STILL exist. This series of pages will be dedicated to the rails that are now in Whitby. This page shows a few of things that prove rails were there. See the additional links below for more information. Additionally, there will be more pages yet on the companies that made the town. 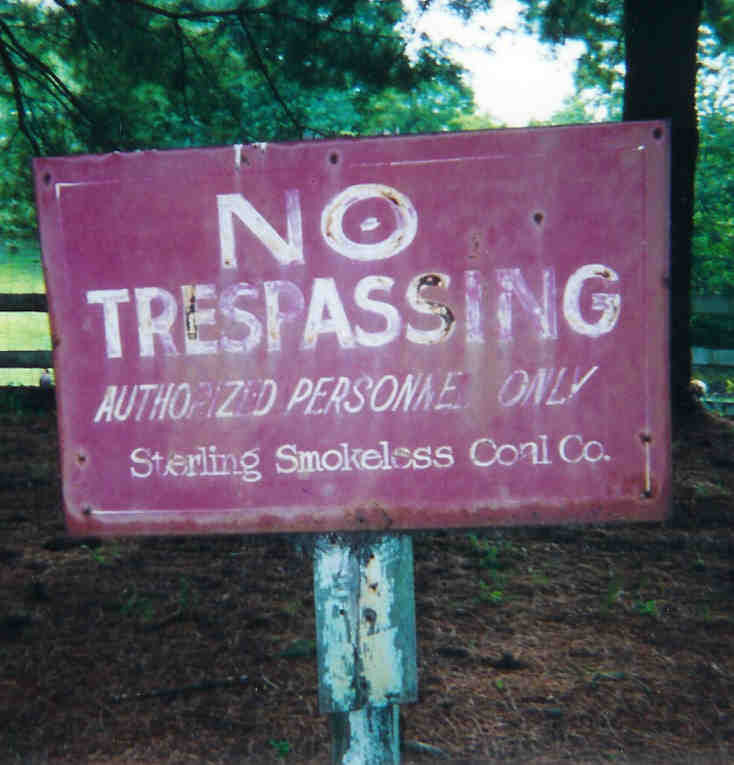 You can see the Sterling Smokeless Coal Company sign below. If you want to see the rails, Click here to see the set across from the Battleship Camp AND see the links below. The best evidence of rails in Whitby though was coming out of BattleShip. Bob Duncan was driving me along what was the rail line and there it was: a Whistle marker. 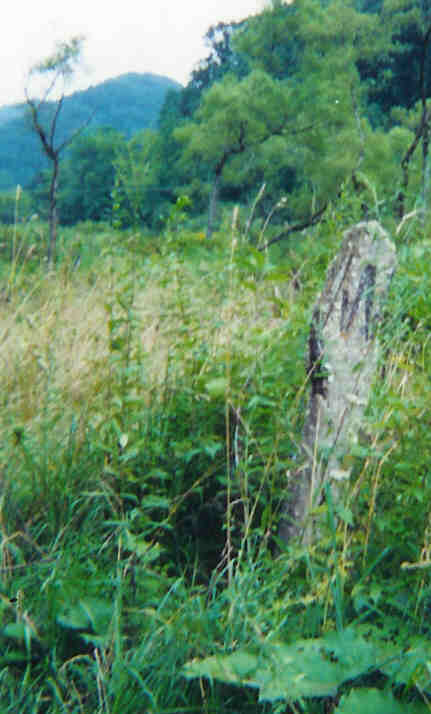 The marker was just before the Old Fireco Road Junction. To the best of my knowledge, the rails throughout the immediate Whitby area belonged to the Virginian. The street maps of Whitby are here and West Whitby here show the Virginian coming in and out of Whitby. By ~1958, the Norfolk and Western had bought the Virginian. 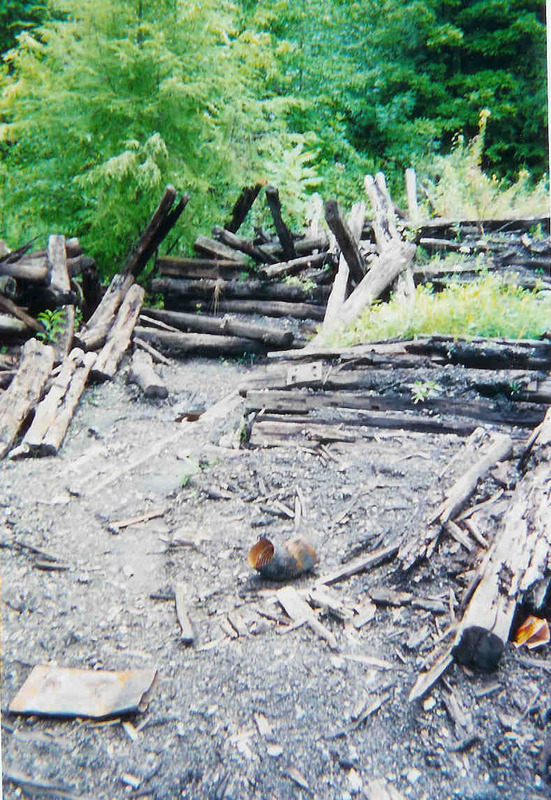 There are also other remains of the rails of Whitby WV. Called the "Who Cares" pile (pretty obvious huh? ), these ties are strewn just at the edge of the Whitby Tipple site of the late 1970's. The date nails in the ties place the year at 1947. Sterling Station in 2004 Updates Coming! Sophia to Whitby via Track!